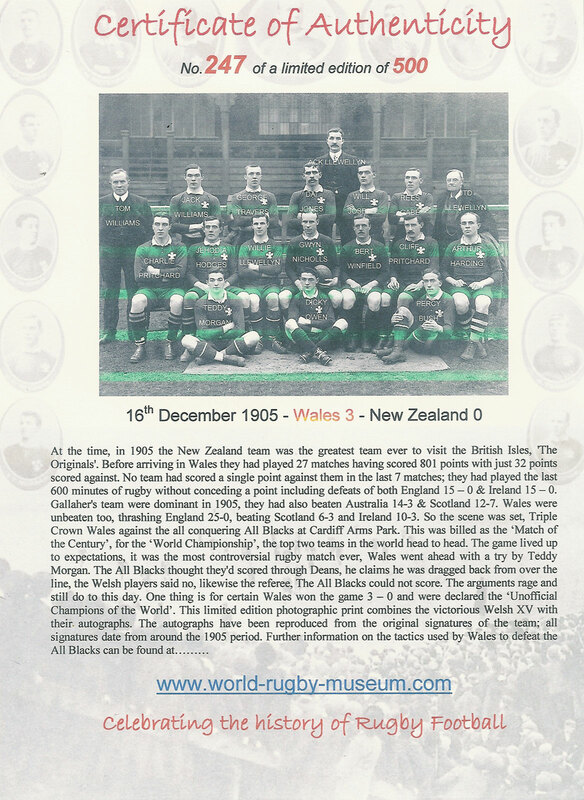 They were the greatest team ever to visit the British Isles , the 1905 All Blacks, 'The Originals'. They had played 27 matches having scored 801 points with just 32 points scored against. No team had scored a single point against them in the last 7 matches they had played. The had gone 600 minutes of rugby without conceding a point including the defeats of both England 15 – 0 & Ireland 15 – 0. Gallaher's team were dominant in 1905, they had also beaten Australia 14-3 & Scotland 12-7. Wales were unbeaten too, thrashing England 25-0, beating Scotland 6-3 and Ireland 10-3. So the scene was set, Triple Crown Wales against the all conquering All Blacks at Cardiff Arms Park. This was billed as the ‘Match of the Century’. the ‘World Championship’, the top two teams in the world head to head. The date 16th December 1905. The game lived up to expectations, it was the most controversial rugby match ever, Wales went ahead with a try by Teddy Morgan. The the All Blacks thought they'd scored through Deans, he claims he was dragged back from over the line, the Welsh players said NO ! Likewise the referee, the All Blacks could not cross the line. The arguments rage and still do to this day. One thing is for certain Wales won the game 3 – 0 and were declared the unofficial 'champions of the world’. 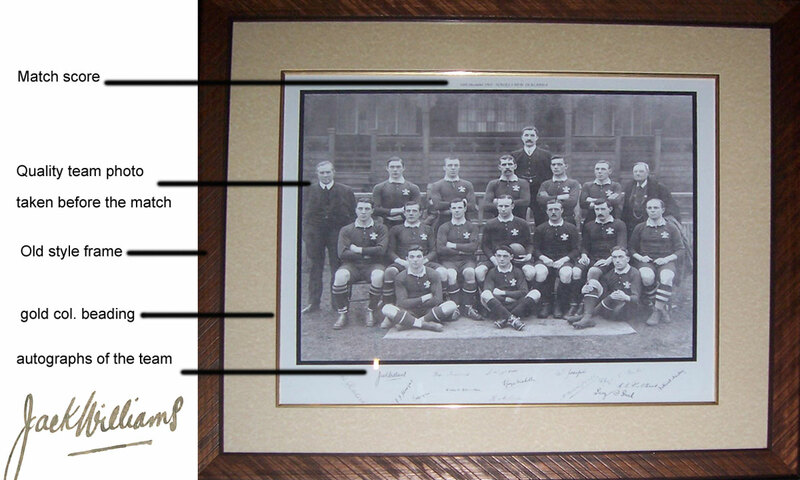 This photographic print is limited to 500 copies worldwide, The size, unframed is 24" x 20" inches, facsimile signatures of the Welsh team are laid out on the bottom of the print, these are scanned from original signatures of each player from this period, the majority are from the day of the match. The size framed is 34" x 30 inches, 86 x 76 cm. 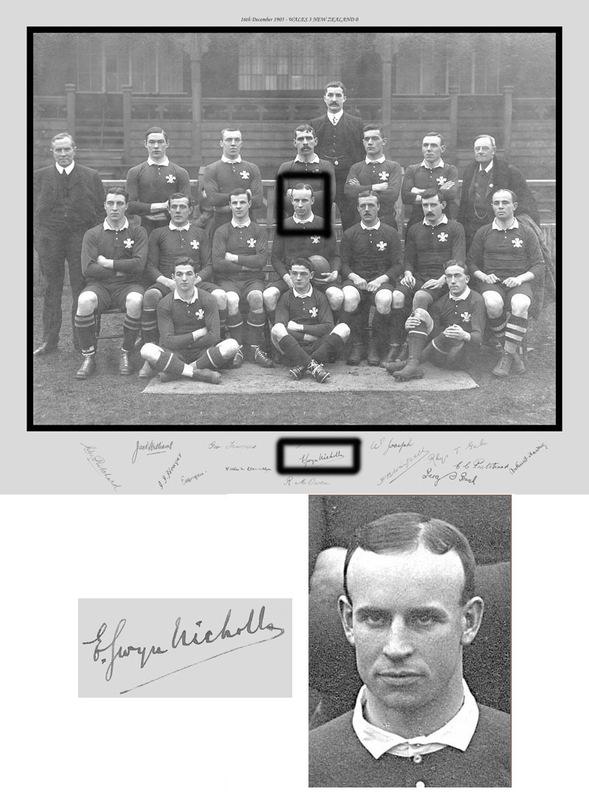 The print will be featured in a BBC documentary about the 1905 game*, Gareth Edwards said of it "the quality is fantastic, look at the expressions on the faces of each player, these guys are are focused on winning, they are in the 'zone'". 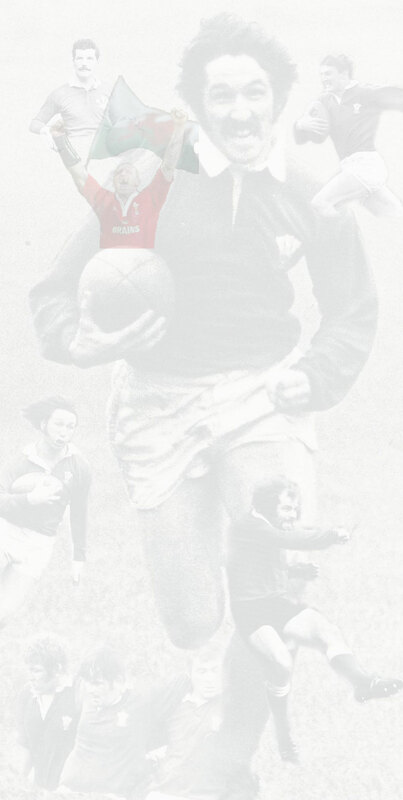 A fitting tribute from a rugby great. We are offering this print framed or unframed, please see below prices etc. Each print is accompanied by a Certificate of Authenticy. *documentary shown by BBC Wales prior to the Wales v NZ match on November 5th 2005.